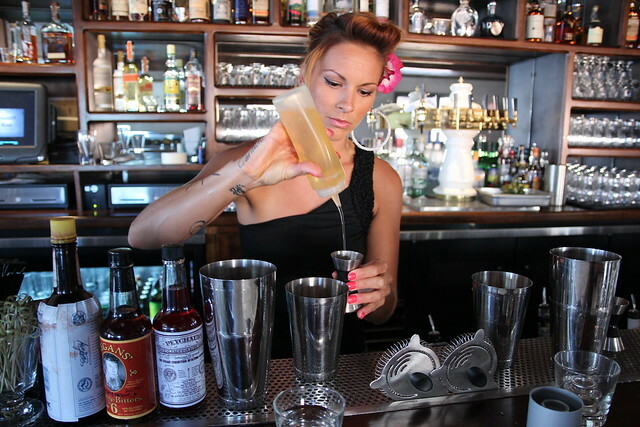 Vote Now: Who's the Best Bartender in All of LA? Which LA bartender do you think is the Bee's Knees? Mark this down on your social calendar, cocktail fans: On October 9, the L.A. cocktail community will be celebrating Table 20’s 2nd Annual L.A.’s Best Bartender as nominated by you and ultimately voted on by an esteemed panel of judges the night of the event. At Downtown’s Elevate Lounge, guests will be treated to boozy sno cones by Ice, Ice Shavie and a pop-up of everyone’s favorite cocktail paraphernalia shop, Bar Keeper. Plus rumor has it that the Beer Chicks, Christina Perozzi and Hallie Beaune, may be in attendance, curating a tasting table of tasty craft beer. While you’re shopping and imbibing, judges Library Bar’s Matthew Biancaniello (last year’s winner), King Cocktail Dale Degroff, LA Times writer Jessica Gelt, local celebrity Bricia Lopez (Guelaguetza), USBG LA president/The Varnish bartender Marcos Tello and head judge Johnny Iuzzini of Top Chef Just Desserts will vote for the best Karlsson’s Gold Vodka cocktail (created by the finalist bartenders) and in turn the best bartender in L.A. But this party can’t go down without you fine folks. From now through September 19, submit your nominations for which drink slinger you think is the best in our city. Take into account their drink knowledge, cocktail-making skills, speed, personality, smile, etc…whatever makes them awesome to you, and submit their name, name of their bar, photo (cell phone photos work) and why they deserve their face plastered on an L.A. billboard announcing them as the best bartender in Los Angeles here. You get to nominate up to three bartenders and may win a prize of a $200 gift certificate to Takami Sushi & Robata Restaurant just for nominating. The nominated bartenders will be culled down to 24 semi-finalists and the judges will then narrow them down to four finalists. One finalist will be whoever wins the most nominations and the People’s Choice award. And at the party, the 2nd Annual L.A’s Best Bartender will be crowned. Tickets for the event aren’t on sale yet but stay tune. Now, who do you think should win this title? Man, so many great bartenders out there! Um, Joe, Alex, Naomi, Mia, Pablo, Damian, Tricia, Julian…. 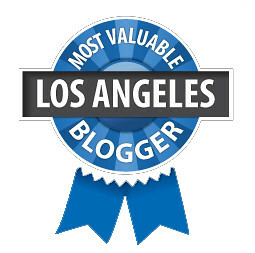 2 Responses to Vote Now: Who's the Best Bartender in All of LA? Can’t even imagine picking just ONE top bartender. I also wonder just how many bar and club patrons actually really pay attention to the quality of the drink/service enough to know who is really taking pride in the art of making drinks. Sounds like a great event though!